and the deepest in the United States. 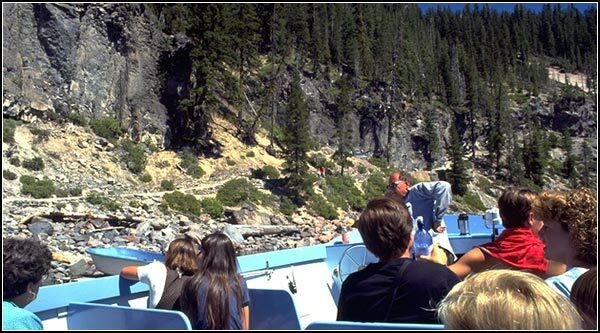 Lake levels fluctuate slightly from year to year. 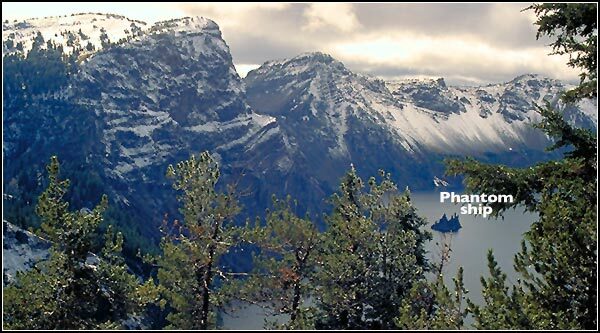 minute drive from Point Comfort Lodge, a trip to a spectacular world unlike any other. 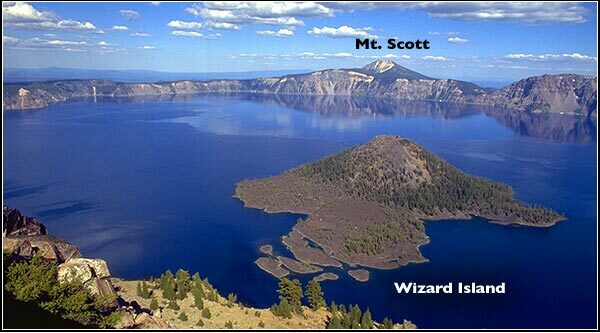 It is no wonder that Crater Lake is a National Park. 400,000 years in the making and boom! . 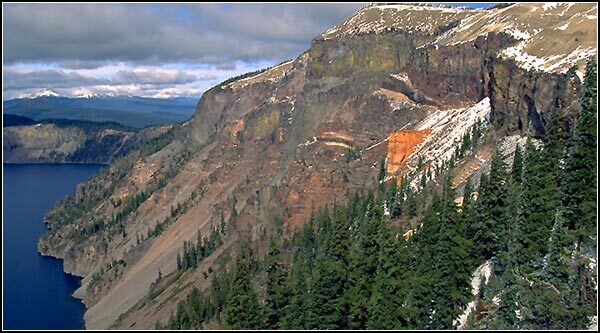 12,000 foot high Mount Mazama collapsed 7,700 years ago following a large eruption. above the lake surface. Mt. Scott, at 8,929 feet, is the park’s highest point. More than a special place it is a special spirit. Seeing a wind-blown sky within the water. On June 25, 1997 scientists recorded a record clarity reading of 142 feet – 43.3 meters. readings of 80 to 115 feet. on Wizard Island. No fishing license is required. Geology, natural and cultural history come alive. 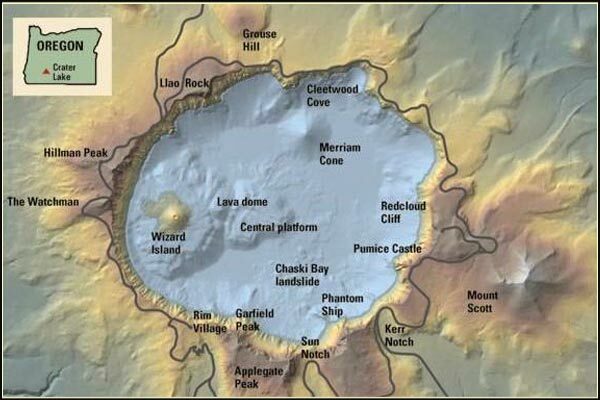 Imagine spending a couple of hours circumnavigating a volcano from inside on a deep lake. way from the modern world. The price of admission is well worth it. 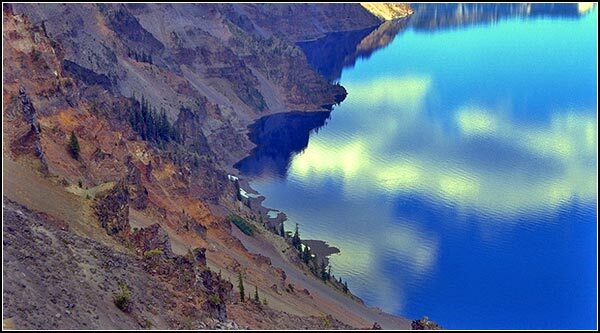 in Crater Lake National Park. The park is much more than the legendary lake itself. up a canyon at fumeroles. Away from away are the Pinnacles. 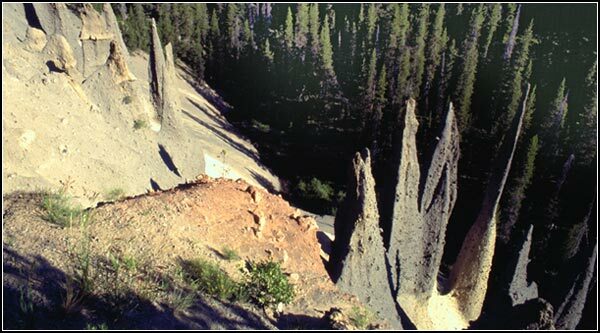 pinnacles are the result of eroding loose ash and pumice leaving the cemented material. Recognized as a national, and international, treasure. on May 22, 1902. 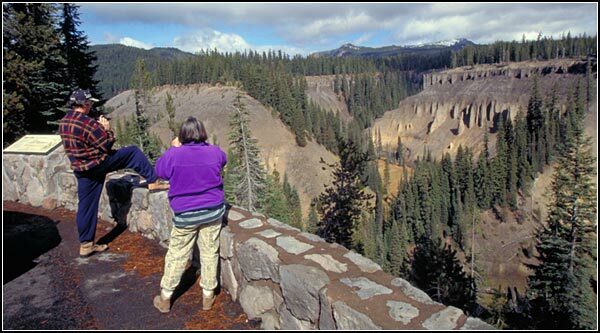 This photo was taken on the year’s last day rim drive was open to the public. depending on that year’s conditions. 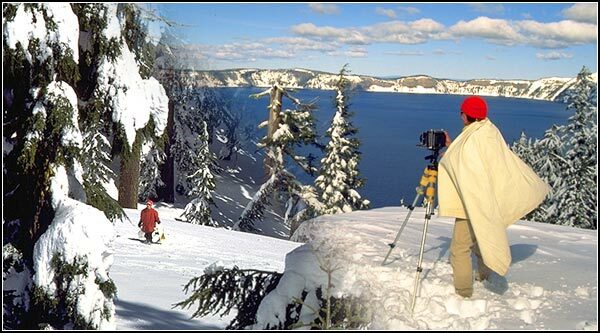 Few places in the northwest received more snow than Crater Lake. 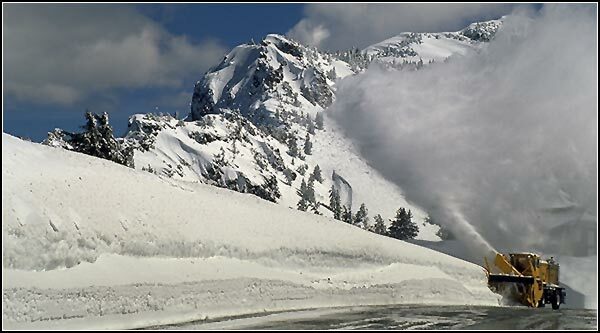 Winter brings some of the heaviest snowfall in the country, averaging 533 inches per year. kept open for visitors. Snow can still be on the ground in early summer. A sunny winter day is a snowy wonderland to enjoy. The air is crisp. The silence echoes off the caldera walls. A photograph frames an image that will not rival the experience of being there. A person takes off alone into the forest. 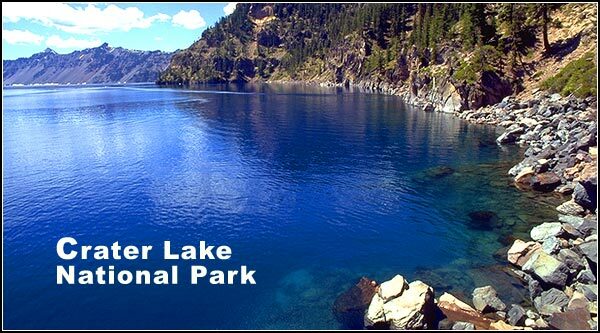 times like this one cannot truly be alone because they are with Crater Lake. Moving around in the winter is an aerobic and aromatic experience. 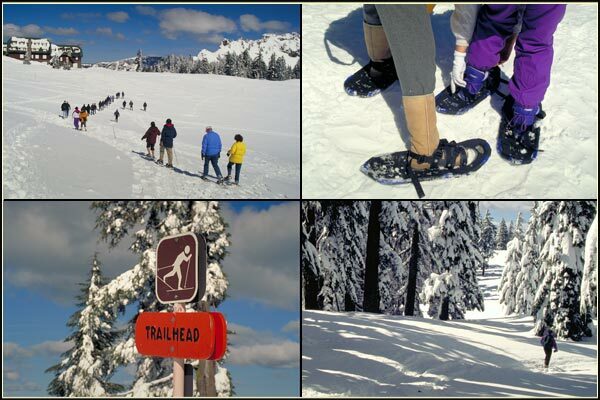 Cross-country skiing and snowshoe hikes make Crater Lake a winter wonderland. 33 mile rim drive that circles the lake. What opportunities for winter explorations. 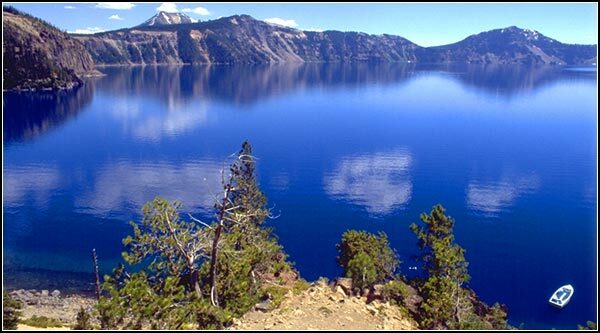 It is a pleasure for one to say they visited Crater Lake. 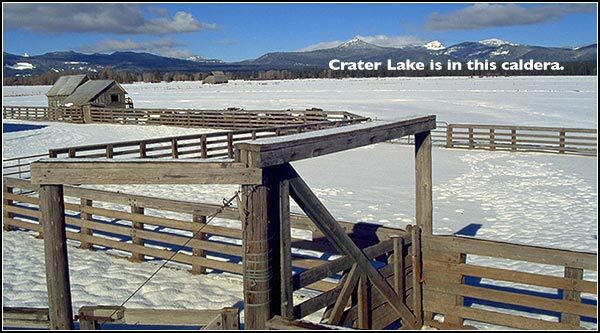 The bottom of Crater Lake is close to the elevation of these fences and barns. This photo is taken from a road that takes one to Kimball Park another majestic destination. ©2013 Anders Tomlinson and Robert Ganey, all rights reserved.